The line up has been carefully selected to showcase 6 of Europe’s most talented tribute bands performing a full day of iconic hits and stunning stage shows. Killer Queen, Limehouse Lizzy, Absolute Bowie, Illegal Eagles, Live/Wire, Ben as Michael Jackson….all our bands play to packed venues throughout the UK, Europe and the States. Individually. What they have never done is to appear on one line-up. This unique festival brings them all together - for one ticket price, at one venue. This has to be the ultimate festival of the premier tribute bands - offering both the cream of the genre and superb value for money. Six top bands on one day - a feast of back to back hits, six spectacular stage shows from 12 noon through to 22:30! 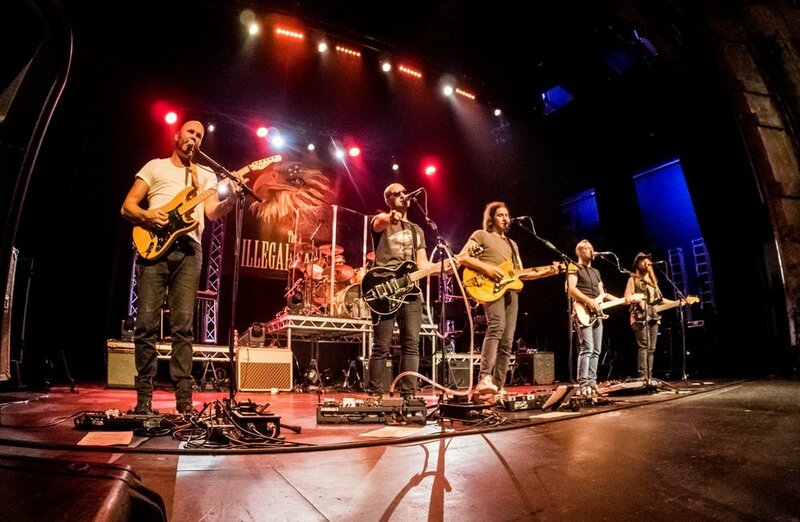 The Illegal Eagles are a cut above the rest when it comes to orchestrated harmonies and guitar layering making them the acknowledged UK number one Eagles cover band. 2019 is their 21st year..... congratulations! A record 140 show dates in 2018, featuring Tony Kiley, Christian Phillips, Garreth Hicklin, Gregg Webb, Trev Newnham and recent addition Mike Baker, these guys truly know their stuff! "‘The Eagles' famous harmonies were sublimely replicated"
Live/Wire put on a full AC/DC show performance. The Hugely successful and unique six-man tribute to rock music’s greatest band AC/DC, complete with cannons, a wall of Marshalls’ and high voltage rock n’ roll in a show critically acclaimed for it’s closeness in look and sound to the real thing. "We'd be hung drawn and quartered if we didn't play all the classics. Back in Black, Rosie, Highway to Hell, are all there and keep on coming until the cannons fire ceremoniously to bring the evening to a superb crescendo. If by this time you are still standing....we salute you!" So say the band. And they don't disappoint! "His ability on stage was inhuman and he remains the greatest performer I have even seen". Ben Bowman on his idol, Michael Jackson. 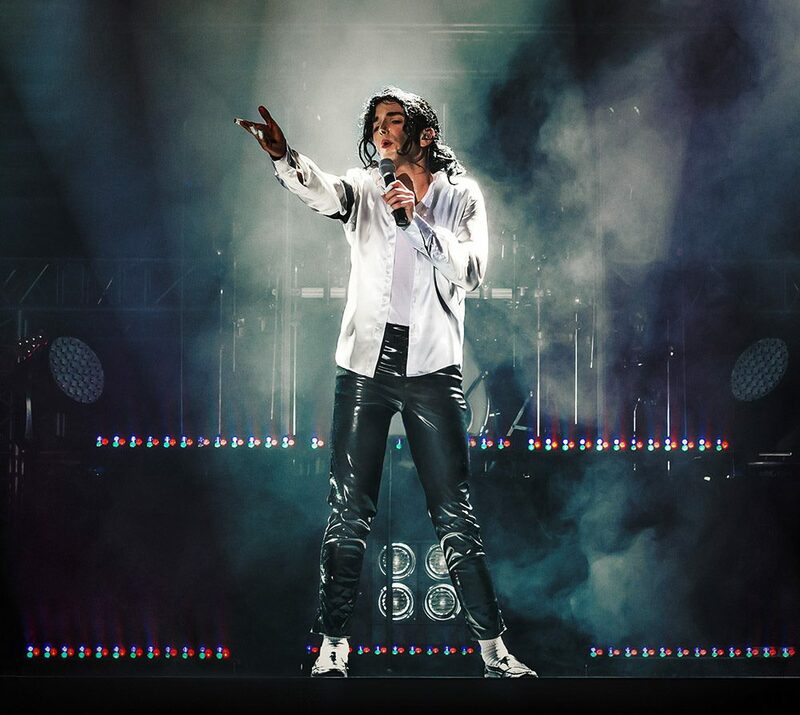 Ben Bowman "pushes the boundaries of tribute, leaving audiences believing it's Michael Jackson they're watching on stage". James Baker Productions. Featuring a full programme of Michael Jackson dance routines, this vibrant show packs venues throughout the land- a lasting tribute to the legendary King of Pop. “What we thought would last a summer just kept on going. A year and a half later we were in the West End and the venues started asking us ‘Would you go and play the same arenas that Queen played?’ We thought about that for about 5 milliseconds and said - yeah” And so it happened. Killer Queen have played all over the world, selling out the same arenas as Queen in their heyday. They are regulars at prestige American venues including Red Rocks and Austin City Limits. Wayne Ellis, Greg Alcock, Craig Price and Aid Todd, a quartet of talented musicians who have thrilled packed venues for over a quarter of a century. Absolute Bowie are proud to present a brand new stage show ‘50 years of Bowie’; a musical journey through the iconic singers ever changing personas. Winner of the “Best Bowie Tribute” and Best Band in the UK at the Agents Association of Great Britain Awards in 2018, Absolute Bowie are undoubtedly Europe’s finest David Bowie Tribute. Yet they are about more than just a brilliant portrayal of the great David Bowie alone. This stunning five piece show has toured Europe for over a decade, transporting thrilled audiences on a journey experiencing the different personas of Bowie- from Ziggy Stardust and Aladdin Sane through to The Thin White Duke. This is a spectacularly energetic show.